Jews must be allowed to visit Temple Mount; will not remain silent and let Muslims expropriate what is lawfully and rightfully ours. 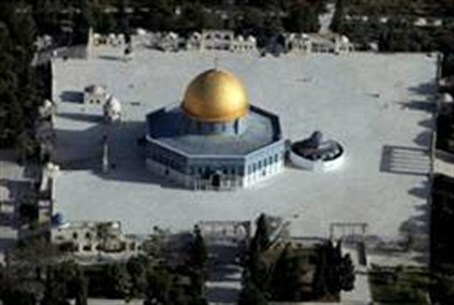 The Zionist Organization of America (ZOA) issued a press release on February 13, imploring the Israeli government to stop police and Muslim Wakf discrimination against Jews on the Temple Mount. In recent year, an increasing number of Jews have wanted to visit the Temple Mount, as many rabbinic authorities have been stating publicly that doing so is not prohibited by Jewish law. The ZOA has sent a letter to Prime Minister Benjamin Netanyahu, Foreign Minister Avigdor Lieberman, Minister of Public Diplomacy and Diaspora Affairs Yuli Edelstein, Minister of the Interior Eli Yishai, Minister of Internal Security Yitzchak Aharonovitch, Minister of Justice Yaakov Ne’eman, among others, urging them to rectify the situation.